IGN recently did an interview with Brace Yourself Games founder Ryan Clark. There, Clark discussed the recently announced Cadence Of Hyrule. According to Clark, it was them that pitched the idea to Nintendo about doing something Zelda-related. Clark said that “We were considering making a new Nintendo Switch project, and we imagined how cool it would be to have Zelda characters appearing in NecroDancer; say as DLC. To our surprise, Nintendo was extremely interested in the prospect, and before we knew it we were working on a completely new title, mashing up NecroDancer with The Legend of Zelda”. Clark also said that the game “is first and foremost a new entry in the NecroDancer universe”, and that they “took extensive care to ensure that it could be considered to be both a Zelda game and a NecroDancer game”. Clark also noted that “Zelda is well-known for musical compositions among games. Being able to mix these two together into an awesome musical mashup of gameplay is definitely one of the most exciting points”. 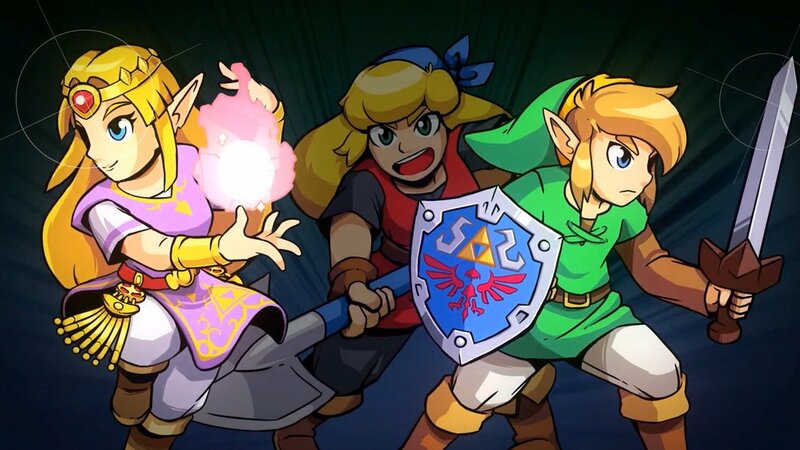 Cadence Of Hyrule seems like a really interesting take on rhythm roguelike games. Combining The Legend of Zelda series with Crypt of the NecroDancer is a risky take, but judging from the videos and screenshots, it seems like it would be executed perfectly. I’m just surprised that an indie dev was given rights to Link and Zelda. Anyway, I’m looking forward to a constant hopping Link and Zelda! Wow, a new 2D Zelda game is on the Wii! I originally passed over Necrodancer, but I’ll probably get this one in order to keep my “played every Zelda game” record (Tingle games and CDi games not included). Switch, I meant to say Switch! Argh! Stupid lack of an edit button!